#1 What are solar panels? Solar panels are the devices that convert light into electricity. They consist of a series of interconnected solar cells that do the hard work of generating electricity. 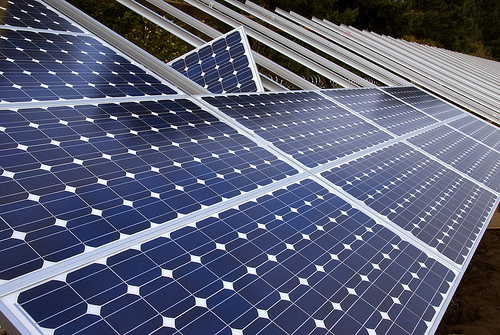 Solar panels are generally used to provide electricity for homes or businesses. Certain panels (thermal) can also generate hot water. Solar energy from solar panels is used like any other electricity: from charging your cell phone or iPod to powering the lights within commercial and residential buildings. What are solar panels made of? At present most of the solar panels are made from crystalline silicon solar cells. Cadmium Telluride (CdTe) is the second most utilized solar cell material in the world and a small but growing amount of solar cells are made from Copper Indium Gallium Selenide (CIGS). 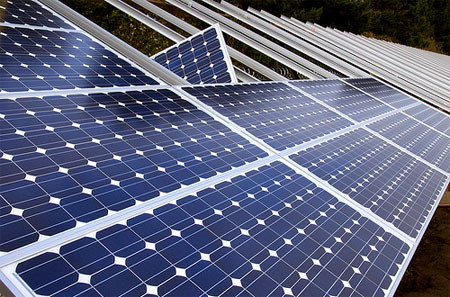 Solar panels are the most important component of a solar power system. On the surface of each panel, solar cells are set in a grid-like pattern. Each panel is put on a solar mount, which fixes the solar panels into an array. In this system every single solar panel is wired to another panel by solar interconnecting wires (see solar panels in series). The panels themselves create Direct or DC current which must be converted by a solar inverter before it can be used in the home or business. Roof and panel orientation: The tilt of your roof or your solar panel can affect the number of hours of direct sunlight you receive in an average day throughout the year. The electricity generated from the solar panels is dependent upon the amount of solar energy received by the solar panels; therefore panels should be oriented or tilted to the correct angle to maximize sunlight. Generally, solar tracking systems that move with the sun are not needed except in commercial applications. Shade: A little shade on one panel can shut down energy production on all of your other panels; therefore before installing a solar power system a detailed shading analysis of your roof should be done. Thanks for sharing good information about solar panels. Solar panels get better and cheaper with every passing year. In one way, though, they are still pretty primitive.